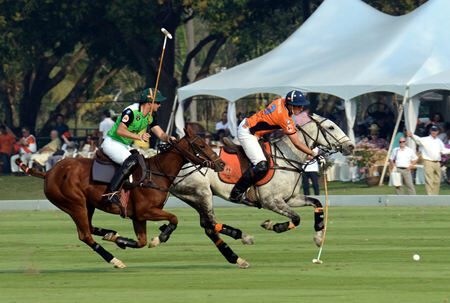 Thailand triumphed over Malaysia at the BMW-B.Grimm Thai Polo Open, a prestigious afternoon event benefitting a royal charity. 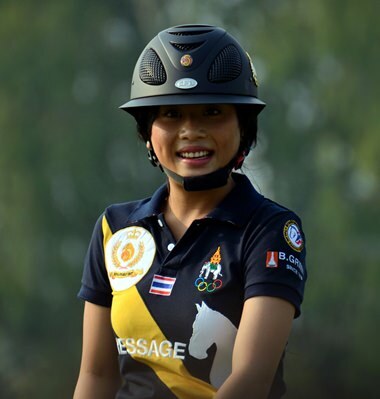 Royal granddaughter HRH Princess Sirivannavari Nariratana tossed the match ball, standing in for HRH Princess Maha Chakri Sirindhorn, whose Chitralada Vocational School benefitted from the match. 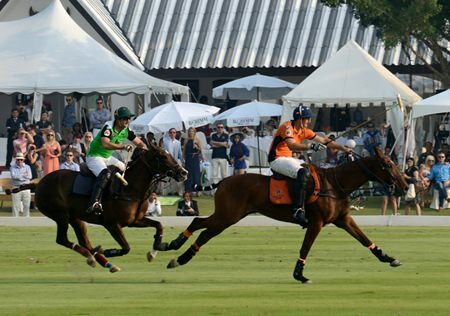 The princess, daughter of the Crown Prince, charmed the audience, taking her dog for a walk, taking a small child riding and getting some polo lessons from Caroline Link, the polo-playing daughter of club owner Harald Link. 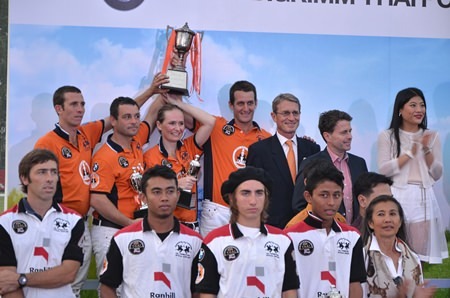 Caroline Link receives the championship HRH Princess Maha Chakri Sirindhorn Cup from HRH Princess Sirivannavari Nariratana. 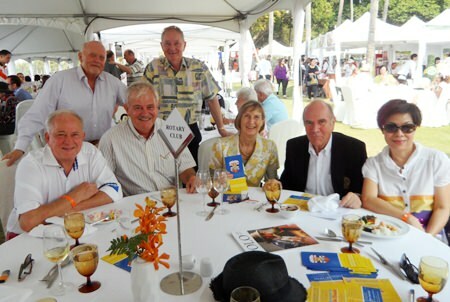 The day started with a buffet lunch and wine, with Harald Link and Nunthinee Tanner, owners of the Thai Polo Club, making sure everything was in order for the high society guests. 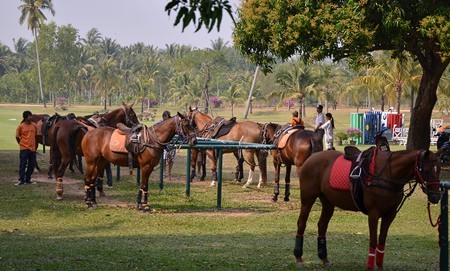 Show jumpers highlighted the talent of the Thai team while children in fancy costumes rode ponies in a junior match that showed off the promise of the sport in the kingdom. Royalty, teams and sponsors gather for a group photo. 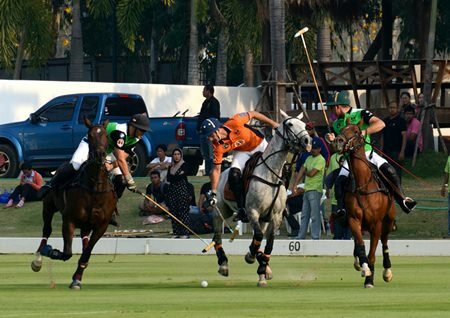 In the match, the four riders on the Thai polo team – Lucas Labat, Augustin Garcia Grossi and Manuel Cereceda, with Caroline Link replacing her injured father – dominated the Kotasas-Ibil team from the beginning, leading 7-3 after the third chukker. 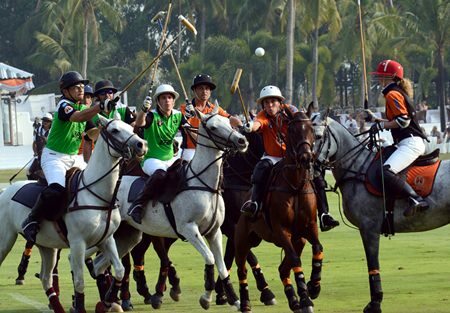 The Malaysians rallied, but came up short 8-6. 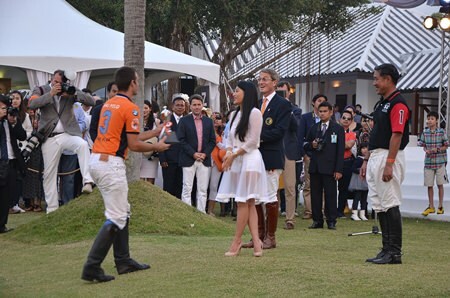 HRH Princess Sirivannavari Nariratana learns more about the rules of polo from Harald Link. 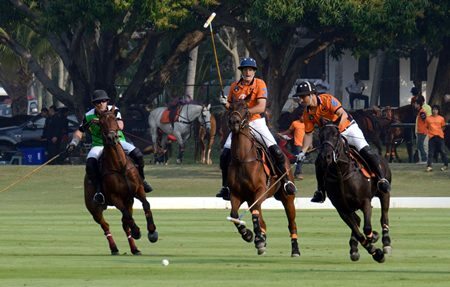 In the opening match, the Ranhill team beat the Nine Dragons to settle third and fourth place, while Axus took fifth. 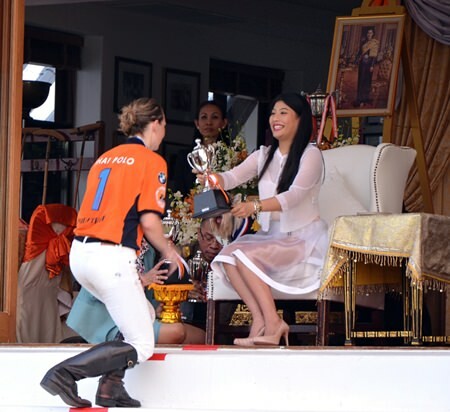 HRH Princess Sirivannavari Nariratana presented the HRH Princess Maha Chakri Sirindhorn Cup to the winner before the event came to a close with fireworks, a buffet and party. 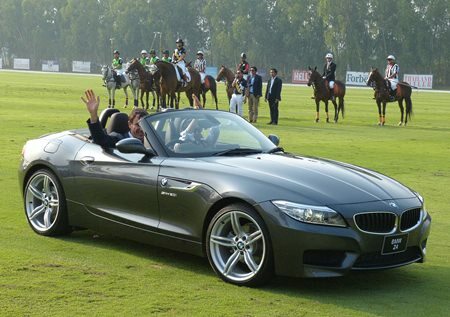 Sponsor BMW used the day to showcase its latest vehicles available in Thailand, while other top brands displayed sold fashion and polo equipment. 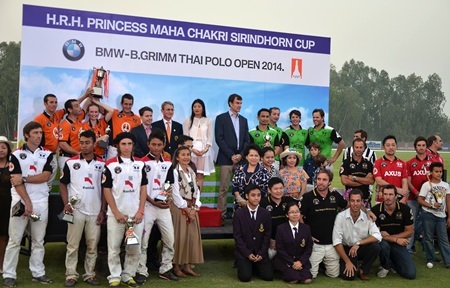 BMW (Thailand) Matthias Pfalz and Managing Director Peter Wolf were on hand. This was the final match before returning to German for Wolf. 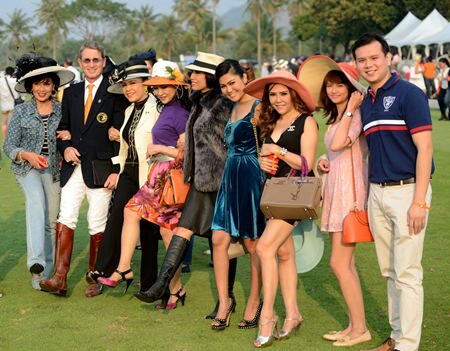 The Cape Dara Resort Pattaya, B. Grimm, EFG and Le Martina also sponsored the event, the biggest on the year’s polo calendar. HRH Princess Sirivannavari Nariratana leads the opening procession atop her mighty steed. 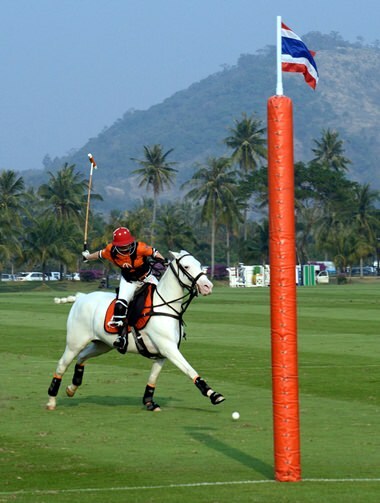 Caroline Link scores for Thai Polo. 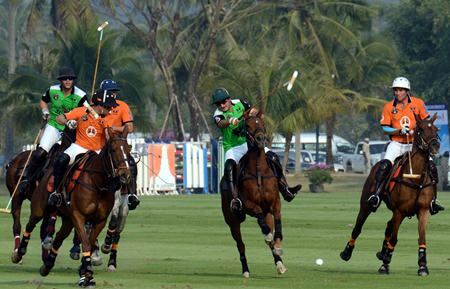 It’s a great race to the ball! Organized chaos, or mass confusion? The horsemanship on display is absolutely amazing. 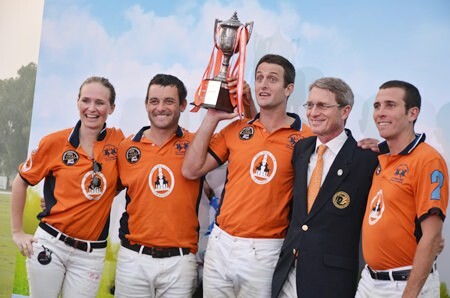 The winning team – Caroline Link, Lucas Labat, Augustin Garcia Grossi and Manuel Cereceda, raise the trophy with Harald Link (2nd right).